4th-market takes it’s name for the city of Yokkaichi where it is located which means “market on the fourth day”. 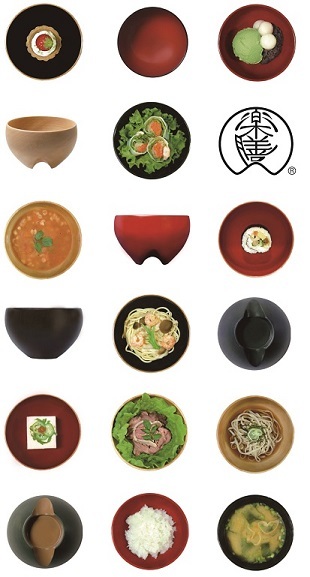 4th-market combines the expertise and craftmanship of 4 local Bankoyaki-ceramic-producers into beautiful, harmonious and modern lines of table and kitchenware. 4th-market combines the expertise and craftmanship of 4 local Bankoyaki-ceramic-producers into beautiful, harmonious and modern lines of table and kitchenware. Nankei Pottery has been produced various tea wares since 1972. They are the specialist of kyusu teapots. They are located in Yokkaichi region of Mie prefecture. All ceramic works from this region are called 'Bankoyaki’. All Nankei Pottery products are handmade. All ceramic molds are created and maintained by highly experienced artisans. They combine all this expertise and uses it to design beautiful, harmonious and modern lines of table and kitchenware. “Yamagen Toen” is a one of the “Tokoname-yaki“ kiln. They produce fabulous tableware including the beautiful new tea ware brand TOKONAME. Their classic kyusu tea pot series has a universal beauty and practical efficient design. If you are interested in their products, please contact me.